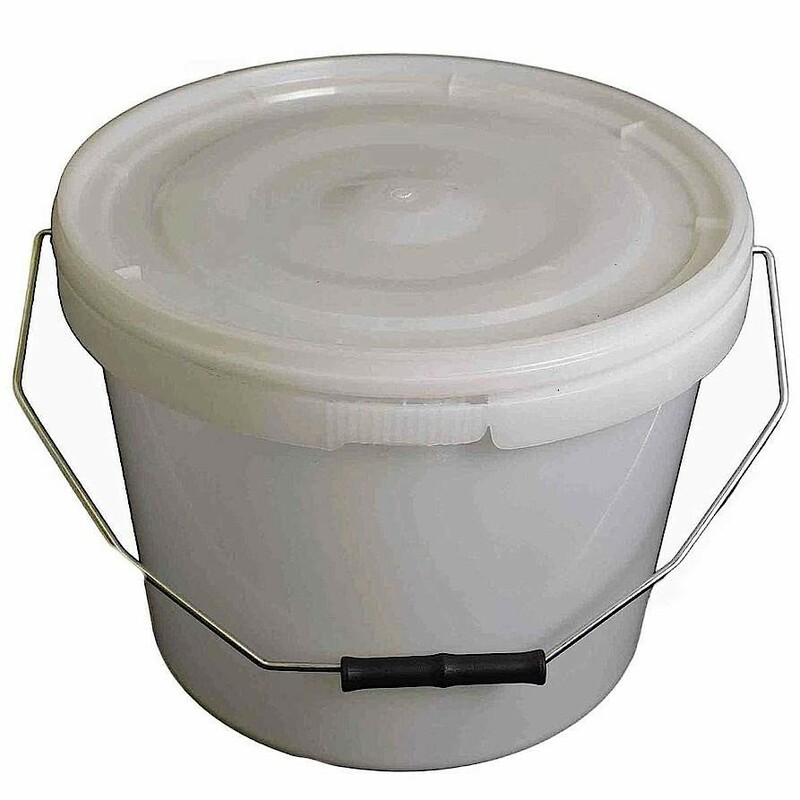 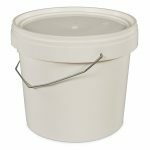 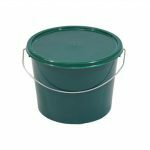 10 litre translucent plastic bucket with standard lid and metal handle. This semi-transparent product allows light to pass through it, but not detailed shapes. 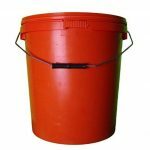 It is perfect for storing liquids so you can see how much is left in the container. This product is made from food-grade polypropylene.